The DriveStation™ Quad is a 4-drive, RAID enabled USB 3.0 storage solution ideal for small servers, creative professionals, offices and consumers who need redundant and high-performance external storage. 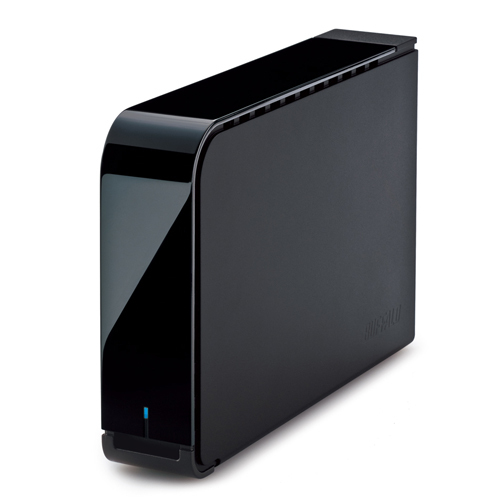 DriveStation Quad is a high performance, 4-drive desktop storage and backup solution. 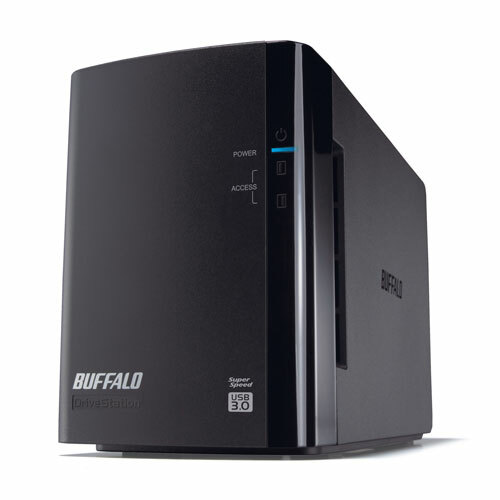 Equipped with four optimized hard drives, DriveStation Quad features the redundancy and performance required for demanding professional and server applications. DriveStation Quad features four high performance NAS hard drives optimized for continuous 24/7/365 operation with enhanced RAID performance. 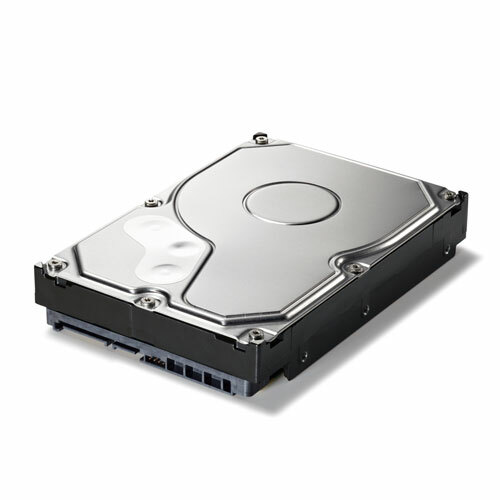 These cost-effective hard drives run cooler, last longer and reduce meantime between failure. 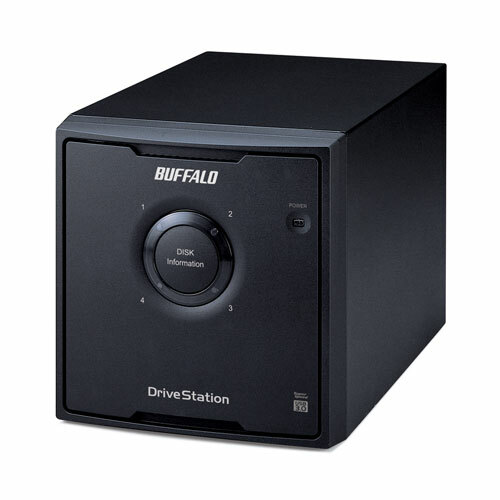 With terabytes of storage, DriveStation Quad provides a reliable, easy to use storage solution to quickly expand the capacity of your PC and Mac computers with universal USB 3.0 plug-and-play. DriveStation Quad is perfect for backing up your important files. Disaster and hard drive failures can occur unexpectedly; don't leave your important files and treasured memories in the hands of chance. 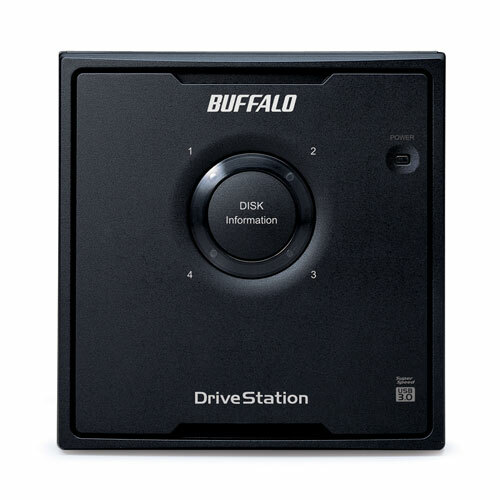 DriveStation Quad features eleven licenses of NovaBACKUP Buffalo Edition for Windows® PCs and servers (one server and ten workstations) and Time Machine support for backing up Mac computers. DriveStation Quad provides users the flexibility to easily maximize capacity or protect their data using RAID redundancy. DriveStation Quad's hot swap feature allows a user to replace a hard drive in the event of failure without powering down the device. 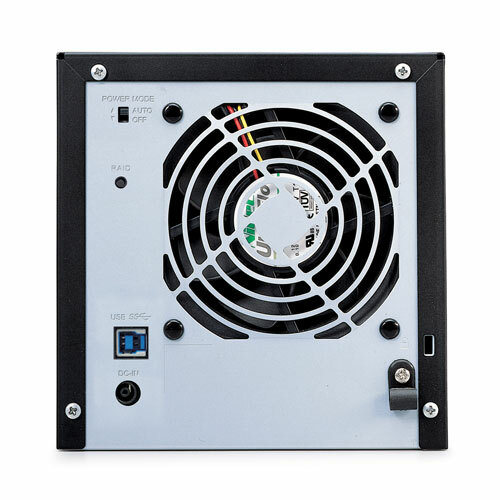 Simply remove the defective drive, insert the new drive and the data rebuilds while still being available to clients on the network with zero downtime. 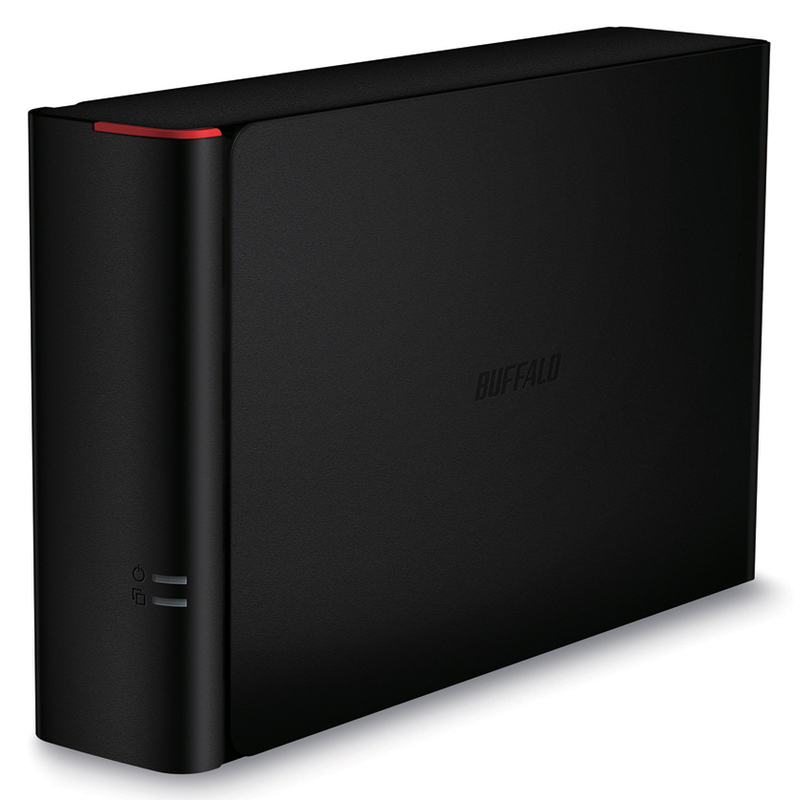 Buffalo Tools is a feature-rich suite of software included with Buffalo DriveStation Quad. 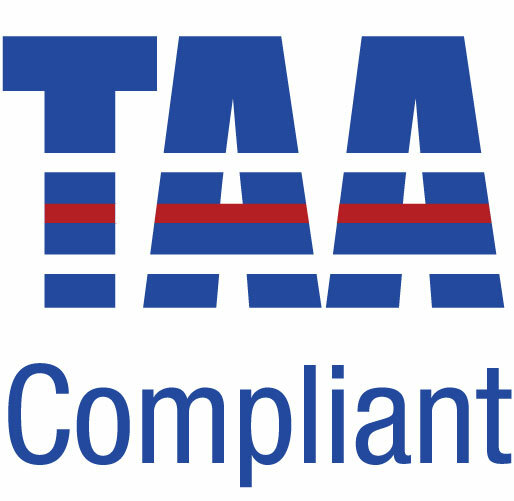 Any or all of the following components of Buffalo Tools may be installed on Windows PCs. * Some included optional utilities are not supported. Serial Number Lookup 2016-25-04 1.00 DriveStation CD for HD-WHU3 and HD-QHU3. Includes RAID utility for Windows/Mac and NovaStor NovaBACKUP for Windows.